Tet is the longest holiday of the Vietnamese people, a time for family members who live apart to be reunited and spend time together. 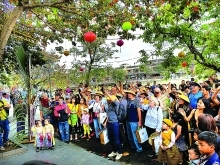 For this reason, Tet has become a golden opportunity for families to go travelling. During this year’ holiday, most Vietnamese people have one week off during the holiday. 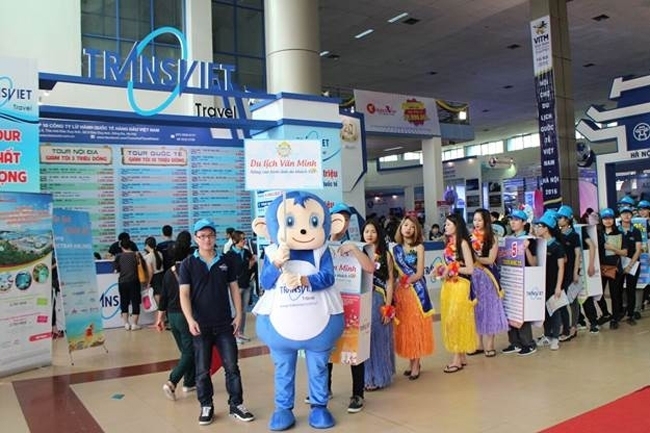 According to statistics of travel company Fiditour, 60 percent of customers have purchased tours during Tet, while Vietravel has recorded around 70 percent. The tours are generally three or five-day tours. This year the schedule for the long Tet holiday was released soon, for this reason people were able to make travel plans in advance. Meanwhile, travel agents have been receiving bookings for tours as long as two months ago. 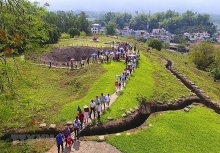 Nguyen Cong Hoan, Deputy General Director of Hanoi Redtours, said that in regards to domestic tourism, tours visiting heritage sites in the central region are thriving. In the north, many visitors have also selected destinations in the northeast and northwest regions to experience the Tet celebrations of ethnic groups. Popular destinations, such as Da Nang, Nha Trang, Da Lat and Mui Ne, are also the choice of many visitors, who want to relax with their family. 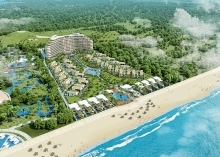 Meanwhile, in the Mekong River Delta region, Phu Quoc and Chau Doc are considered as the most attractive destinations. Furthermore, this year the holiday season has witnessed the tremendous growth of the demand of outbound tours. The reason is simple: outbound tours offer attractive destinations, a wide range of activities during traveling and more importantly, the price is equivalent to inbound tours. 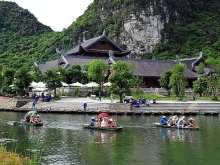 The destinations most popular among Vietnamese travellers are Cambodia, Thailand, Singapore, China and Hong Kong – countries which are near Vietnam and which have similar cultures. Particularly among the young Thailand is a hot destination as the price is reasonable. Other places chosen by a large number of Vietnamese include China and Singapore as they have beautiful landscapes, various shopping choices and a number of eye-catching traditions to celebrate the lunar New Year. According to travel agents, the number of domestic tourists rose by 10-20 percent over the same period last year. Aiming to attract more people to spend money on tourism, travel agencies in the country have offered a large number of promotion programs. In general, travel firms all have raised tour fees by 20-30 percent as costs have been rising on par with demand, therefore travel firms have had to increase tour fees to cover expenses. Outbound tour fees have increased by 25 percent, while domestic tours have risen by 20-30 percent. However, the 20-30 percent tour fee increases have not reduced demand. The number of travellers booking both domestic and outbound tours has increased over previous years. It is clear to see that the long Tet holiday has helped stimulate the demand for traveling.